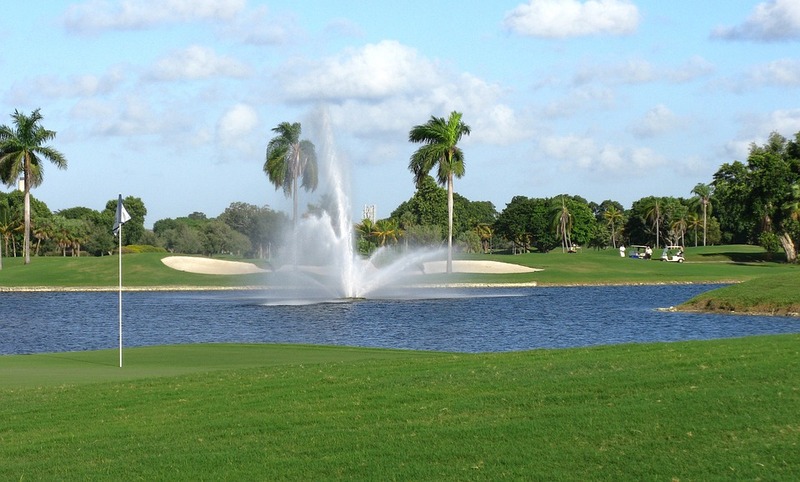 The 2017 Honda Classic golf tournament on the PGA Tour is taking place this week from February 23-26, 2017, on the Champion Course at the PGA National Golf Club located in Palm Beach Gardens, Florida. Here is a list of the prize money up for grabs for the PGA golfers to win at the 2017 Honda Classic. The Honda Classic dates back to 1972. Jack Nicklaus, Johnny Miller, Mark Calcavecchia and Padraig Harrington jointly hold the record for most wins with two each. Adam Scott is the defending champion and Rory McIlroy won this event in 2012. Tiger Woods has never won the Honda Classic but he was 2nd here in 2012. Tiger was scheduled to play this event but withdrew due to back issues. Sergio Garcia and Rickie Fowler are here this week trying to win the Honda Classic for the first time. Total prize money up for grabs at the 2017 Honda Classic is $6.4 million. That's up 4.9% over the $6.1 million that was up for grabs in this tournament last year. The winner of the 2017 Honda Classic will earn a cool $1.152 million in prize money. That's up 4.9% over the $1.098 million in prize money that Adam Scott earned last year when he won this tournament.